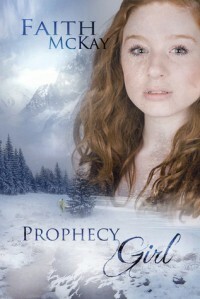 Enter To Win A Copy of Prophecy Girl!!! 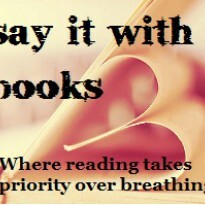 Review & Giveaway @ Say It With Books“Yes,”she choked out the word. This was always the hardest part, giving her mother what she wanted —unquestioned obedience.There are lot of YA Fantasy books out there with the same cliché plots and cliché characters; honestly this cliché-ness does not bother me that much as long as the book is well written. But there are some books that come up with some completely different concept-Prophecy Girl was one such book.Prophecy Girl has interesting combo of characters-you get werewolves,seasonals(that's a completely new and interesting one),a girl who can make things happen by praying for them, a girl who sees the future, a psychotic mom and a guy who's obsessed with sunglasses!The book started out with Samantha and her family moving to Lacuna Valley, it's a really small town and Sam's not really happy about the move. McKay does not ease into the child abuse issue, she does not sugar coat instead she makes one witness the Sam's abuse right in the beginning.Initially I did not like Sam very much-she was weak and didn't stand up for herself when she's bullied at school. She takes it all instead of fighting back. But as the story progresses Samantha grows stronger and learns to stand up for herself. I loved Sam's relationship with her sister Violet-Violet is a really adorable kid and the interaction between the sisters was really sweet. Sam loves her sister and she goes to great lengths to protect her sister from her mother.Violet was pretty awesome for a 9 year old kid because she felt guilty about using her powers to control things. And then we have Nick-he was a really sweet guy. There was no insta-love,Sam and Nick had a complex relationship. Nick had his entire life planned out for him and he didn't want to enforce his destiny on Sam. He was really protective of Sam and his younger brother, Zach.Sam and Violet's mom was power crazy and she was determined to get what she wanted even if it meant using her own children.When it comes to the pace of the story I loved the first and last parts of the story-I felt that the story was a bit dragged out during the middle. I also didn't feel that Sam's dad was really "in" the story, he was just there and he didn't do anything about the whole situation. I hope he'll be a little more involved in the sequel. I didn't really get some of the pop culture references either. And I wasn't entirely comfortable with the writing style; it was an engaging read nevertheless.